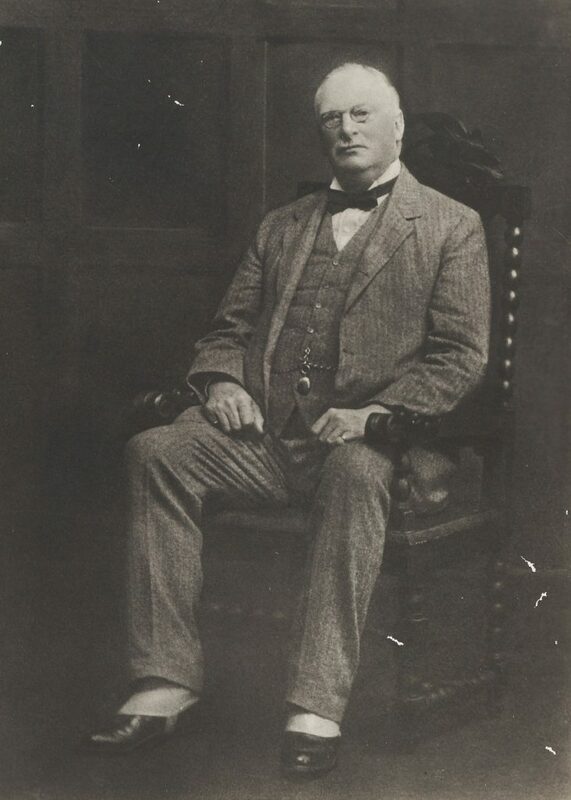 Kingsley Osbern Foster, a patriarchal figure in the Nugent annals was in turn army officer, church warden, justice of the peace, town councillor, county councillor, car collector, amateur astronomer and more. Together with his wife, Constance Jemima (née Birch), their most deserving accolade, as far as this website is concerned, is that two of their children, son Osbern and daughter Gladys, married children of Oliver and Mary Nugent of Antigua: Catherine Mary Monica (married in 1906) and George Oliver (1910) respectively. Both marriages took place at St John’s: Osbern and Monica Nugent were married at St John’s cathedral church in Antigua in 1906 while Gladys married George Nugent at St John’s, Redhill in 1910. It is likely that George met Gladys while visiting his brother-in-law’s parents at their Redhill home. A large number of Nugents and Fosters, Stephens, Earle, King, Robertson, Fowler and others are descended from this couple. As far as I know, Kingsley and Constance never visited Antigua. They do not appear in the picture of Osbern’s marriage to Monica (see Scotts Hill page). Nor were Oliver and Mary Nugent, who spent most of their lives in Antigua, present when George married Gladys. Gladys and George Nugent were my grandparents. 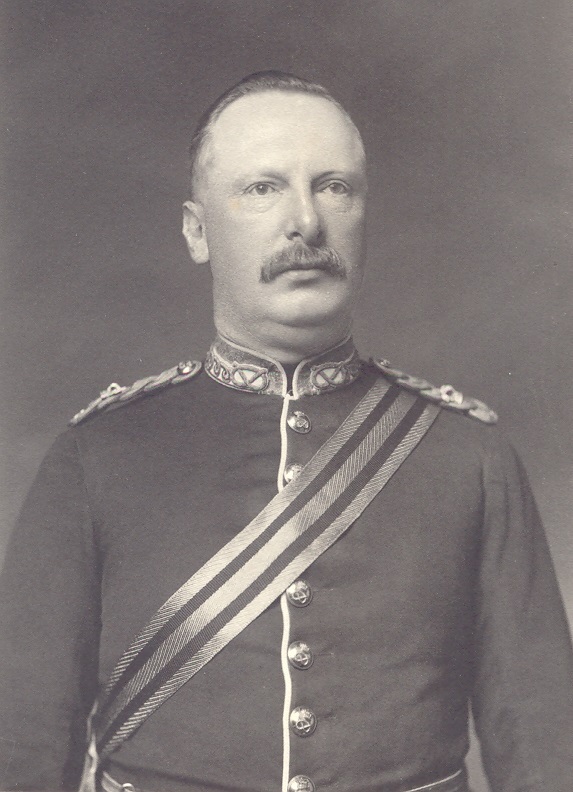 Kingsley was born at Hartley Witney, Hampshire, in 1847, and schooled on the island of Guernsey where he subsequently joined the Royal Guernsey Militia. Transferring his commission to the King’s Own, he met and married Constance Birch, the daughter of a landowning family from Armitage, Cannock Chase in 1879. When her father died she inherited a quarter share of his estate valued at £126,038. 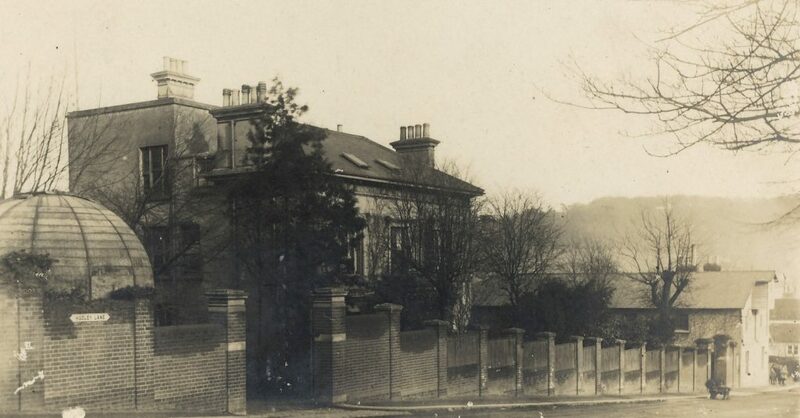 Kingsley and Constance Fosters are most associated with their home Shenley, Hooley Lane, Redhill, Surrey, where Kingsley built an observatory to watch the stars. Neither the house nor observatory survive. 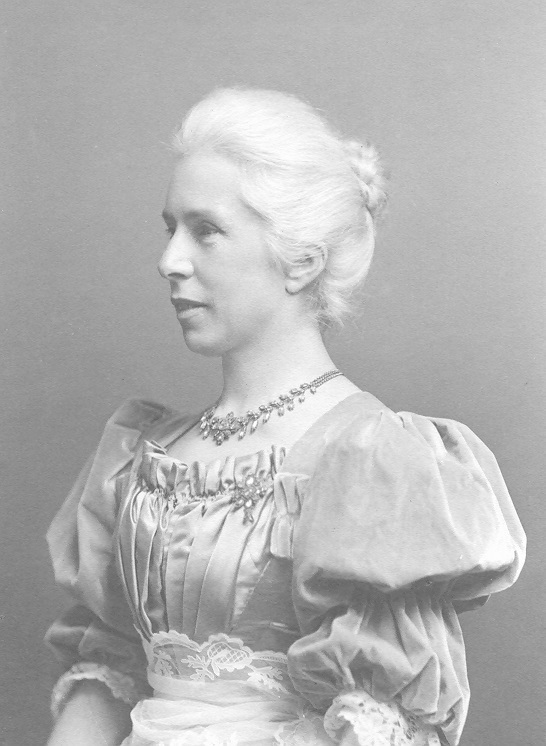 Constance’s unmarried sister Ada came to live with them at Shenley. 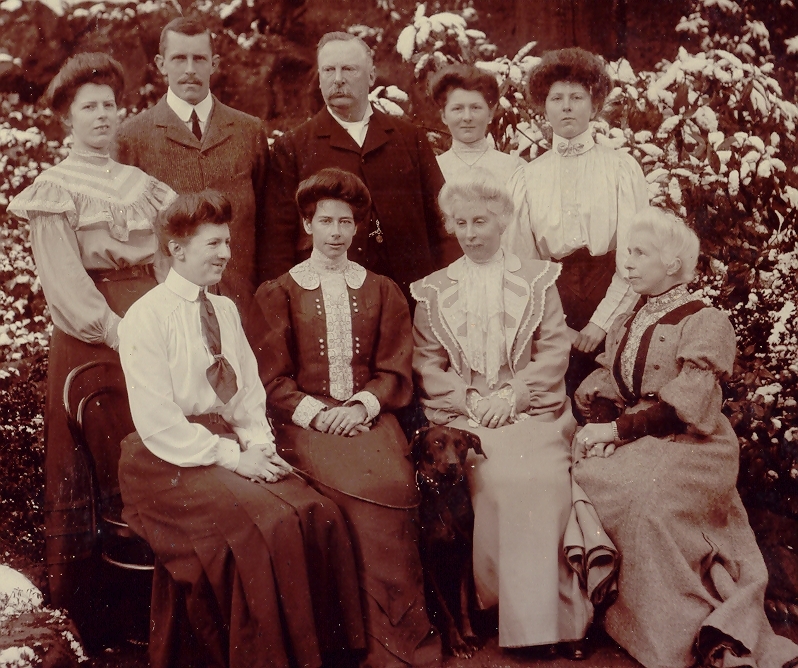 The Fosters of Shenley: Kingsley back centre, Constance front second from right. Next to Kingsley stands Osbern and in front of Kingsley is Monica, née Nugent. Gladys is rear left and in front of her is Muriel. Picture of the wedding of Osbern Foster and Monica Nugent see Scotts Hill page. Kingsley engaged himself fully in local affairs. He sat on Redhill town council and later became a Surrey county councillor. He was much involved in local affairs as a member of the canine society and football club and a was governor of Reigate Grammar School. 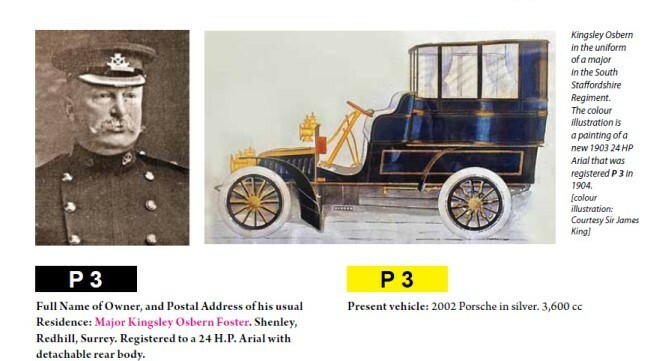 He was one of the earliest car owners in the county and founding president of the East Surrey Automobile Club, owning two Ariels numbered P2 and P3. There was a time when the many grandchildren of the couple circulated what were known as the Shenley Annals to enable the large family keep in touch with each other by sharing news. Memoirs of their daughter, Muriel Foster, and grandson, Lt Col. Kingsley Foster, as well as their son-in-law, George Oliver, and grandson Oliver Nugent CBE are told elsewhere on this website. A family tree (to follow) shows their immediate offspring. This family website is open for contributions by any Nugent and Foster descendants. Kingsley died in 1922 and is buried at St John’s Redhill, where he was church warden for many years and where his daughter Gladys married George Nugent. Constance survived until 1937. 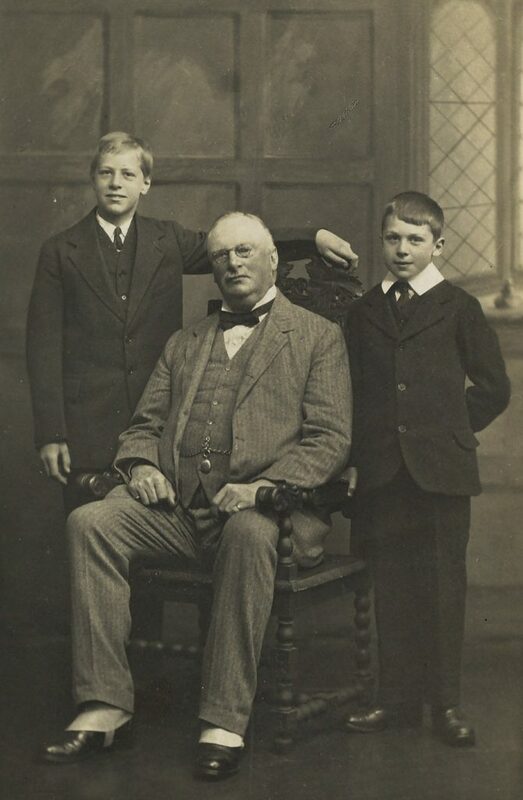 Credits – Pictures: Kingsley; Constance; the family group already featured elsewhere on the site; Shenley showing observatory – all from family archives. 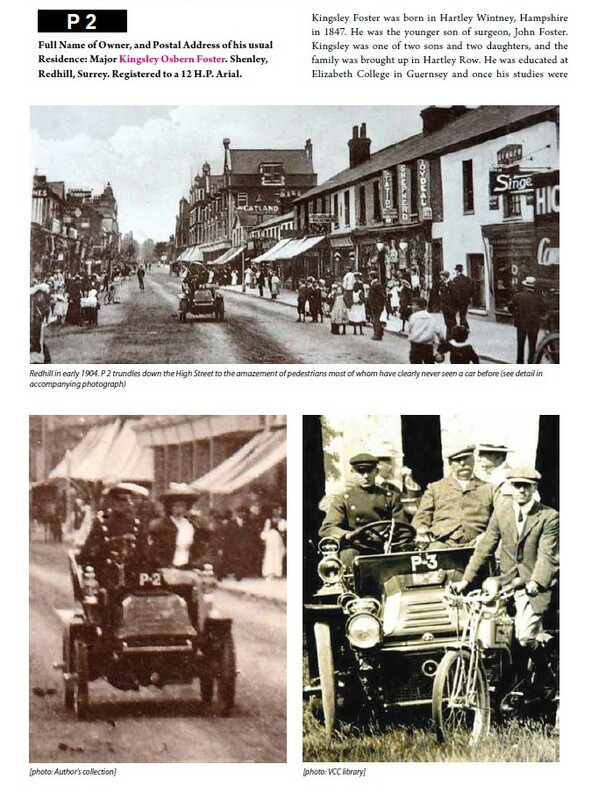 Text taken from research by Nicholas Young, compiler of Car Number Classics (2018), from which the Redhill and car images are taken, (bottom right courtesy of VCC). Coloured car image, also taken from Car Number Classics, was provided by family member Sir James King.